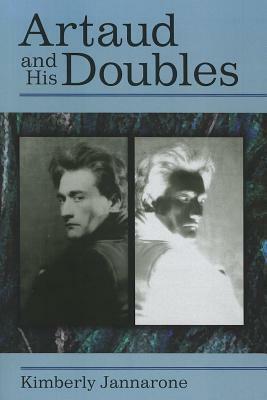 Artaud and His Doubles is a radical re-thinking of one of the most influential theater figures of the twentieth century. Placing Artaud's writing within the specific context of European political, theatrical, and intellectual history, the book reveals Artaud's affinities with a disturbing array of anti-intellectual and reactionary writers and artists whose ranks swelled catastrophically between the wars in Western Europe. Kimberly Jannarone shows that Artaud's work reveals two sets of doubles: one, a body of peculiarly persistent received interpretations from the American experimental theater and French post-structuralist readings of the 1960s; and, two, a darker set of doubles---those of Artaud's contemporaries who, in the tumultuous, alienated, and pessimistic atmosphere enveloping much of Europe after World War I, denounced the degradation of civilization, yearned for cosmic purification, and called for an ecstatic loss of the self. Artaud and His Doubles will generate provocative new discussions about Artaud and fundamentally challenge the way we look at his work and ideas. "Kimberly Jannarone's recent monograph Artaud and His Doubles is truly one of the most profoundly original and thought-provoking works of literary criticism dedicated to Antonin Artaud to date." --Dalhousie Frebch Studies 97 (04/09/2013) "[Jannarone] argues in her enlightening and engaging book that "Artaud" was invented in the 1960s in widespread misreadings of The Theatre and Its Double." --Iris Smith Fischer"Journal of Dramatic Theory and Criticism" (10/08/2012) "[Jannarone] argues in her enlightening and engaging book that "Artaud" was invented in the 1960s in widespread misreadings of The Theatre and Its Double." - Iris Smith Fischer, University of Kansas, Journal of Dramatic Theory and Criticism ..".a daring and rigorous historical reinterpretation that defies critical consensus on Artaud." - Lara Cox, University of Exeter, French Studies "I hope Jannarone's book will be read seriously and its implications traced with care and thoughtfulness." --TDR: The Drama Review (02/22/2013) ..".a daring and rigorous historical reinterpretation that defies critical consensus on Artaud." -- (10/08/2012) "Jannarone has written a remarkable book about Artaud and the Theatre of Cruelty.. This fascinating study should shake the foundations of Artaudian scholarship." Kimberly Jannarone is Associate Professor in the Department of Theater Arts at the University of California, Santa Cruz.